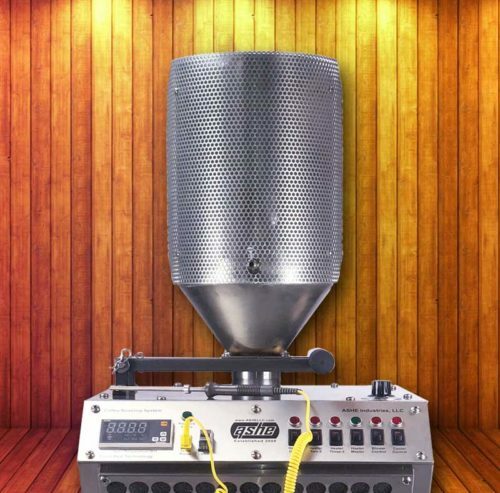 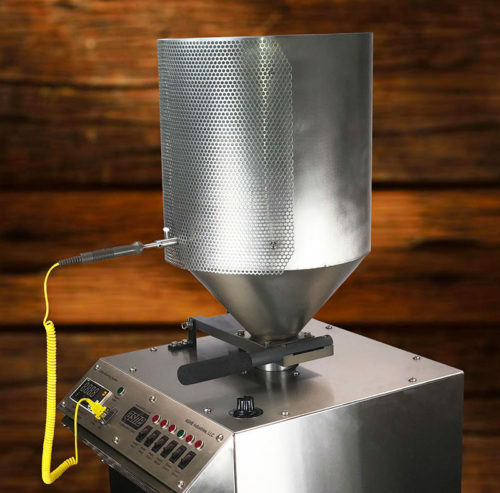 The ASHE 15 LB fluid bed coffee roaster is based on our work horse 10 LB Fluid Bed Coffee Roaster with additional engineering improvements to allow efficient roasting of a 15 LB load of green coffee beans. 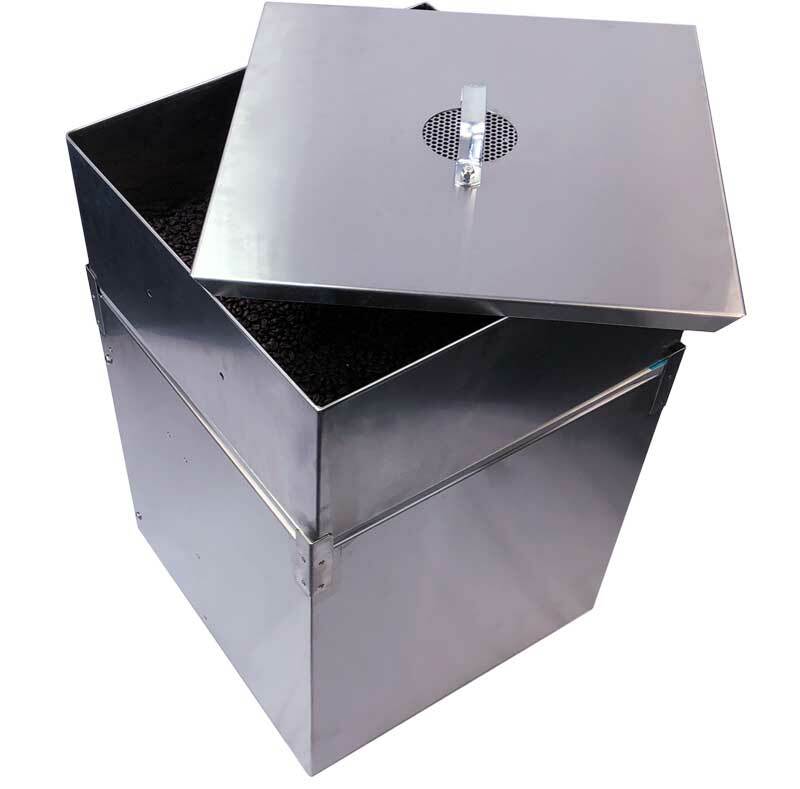 Roast chamber capacity on the ASHE 15 lb Fluid Bed Coffee Roaster has been increased to accommodate the larger volume of beans. 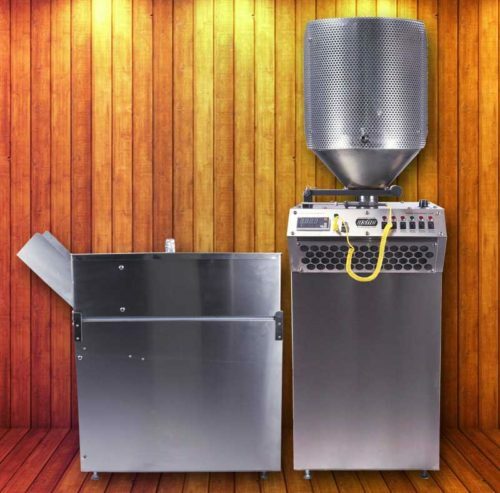 In addition, heating system wattage and blower capacity on the ASHE 15 lb Fluid Bed Coffee Roaster has also been increased to quickly roast a 15 lb load. 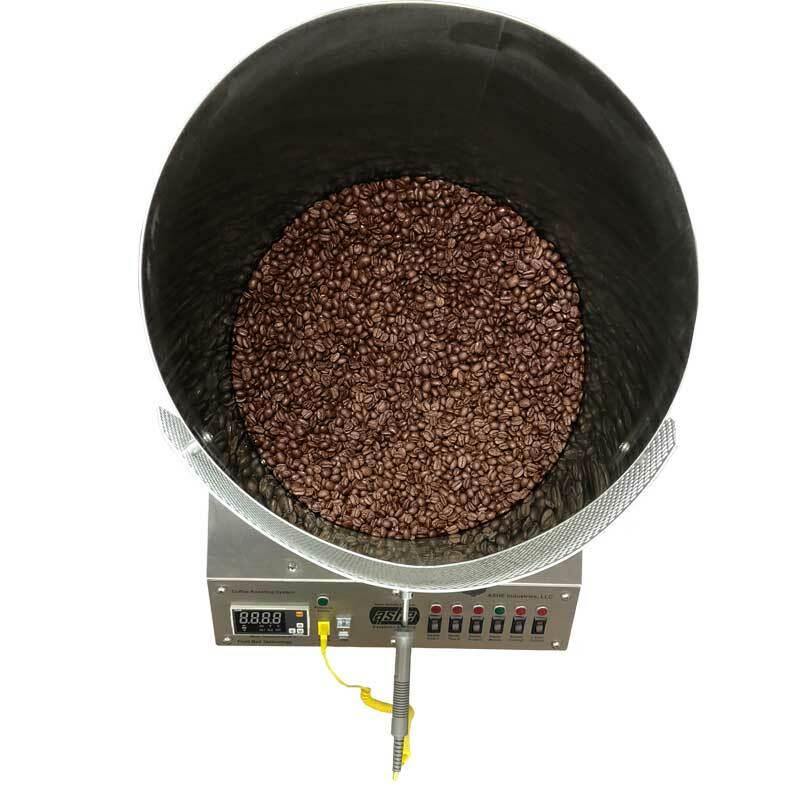 Roast times are approximately 1 minute per pound or less depending on degree of roast desired. Panel mount digital meter for monitoring bean temperature during the roast. 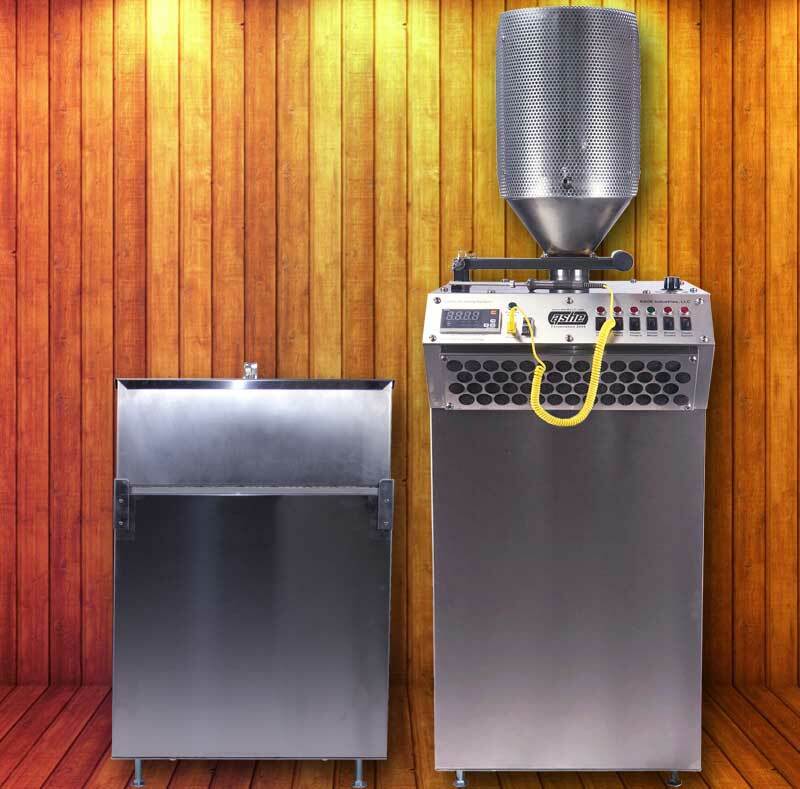 All stainless steel ASHE forced air cooling system to quickly cool the fresh roasted beans at the conclusion of the roast. 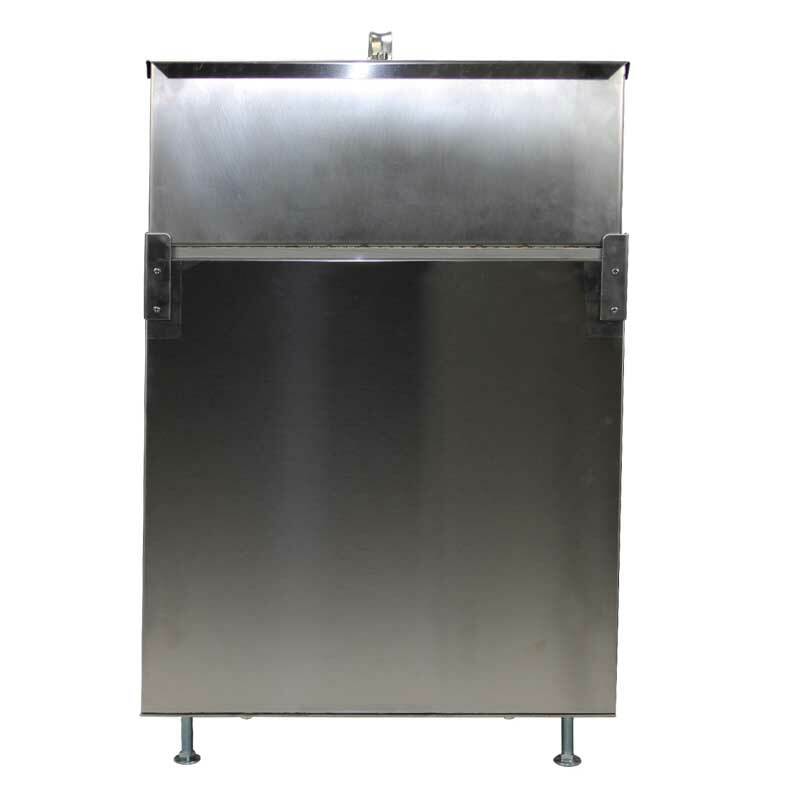 All Stainless Steel roaster body, control panel and top plate. 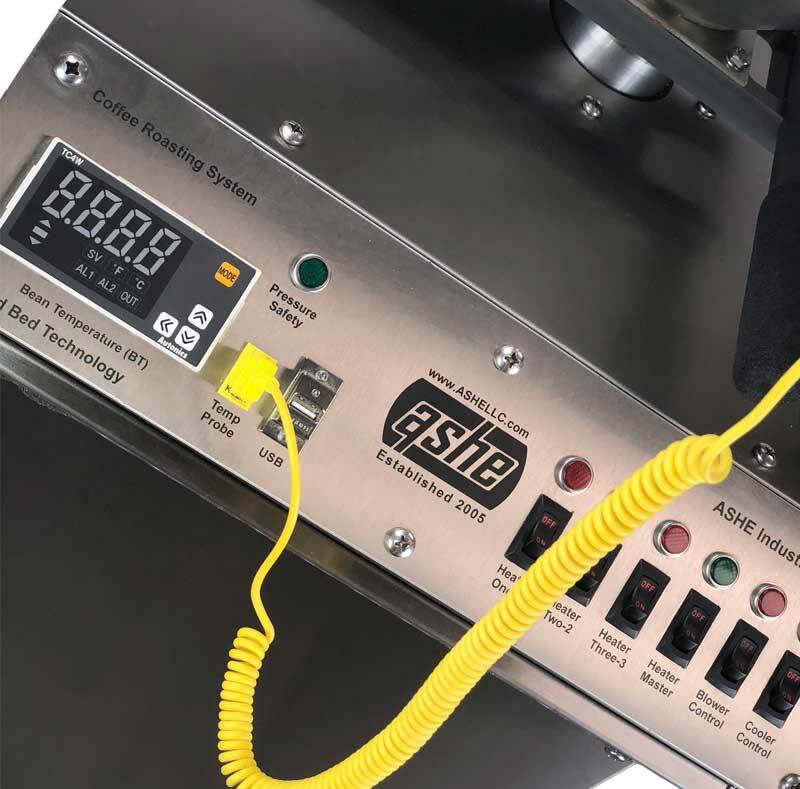 Illuminated control panel status lights. Power Requirements: 240 volts AC, 65 amps for heaters;120 volts AC, 13 amps for blower, cooler, and controls.